If you’ve ever seen the beginning of the cinematic masterpiece that is Beerfest, you have a pretty good idea what Oktoberfest is like. Also, I’ve already written about that particular festival, so if you’re just interested in Oktoberfest, head over here: Munich’s Oktoberfest. 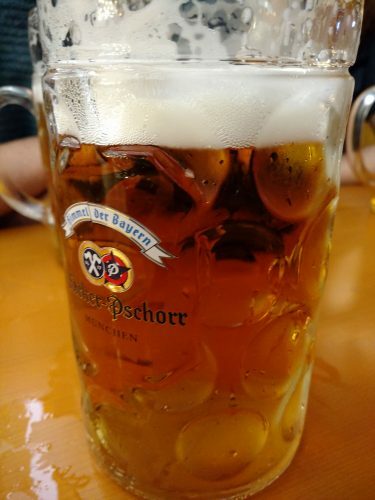 On the contrary, this post will focus more broadly on beer festivals in Germany, so if you want to learn about this tradition, keep on scrolling. Beer on its way to a thirsty customer at Oktoberfest! Golden Oktoberfestbier is a magical love potion that keeps the festival alive into the night! These waiters are very close to being superheroes for putting up with drunken shenanigans and carrying SO MANY liters of beer at a time. Coming over to Germany back in 2015, I arrived precisely in the middle of Oktoberfest. For a slew of various reasons, that was a terrible idea and I’m an idiot for doing so. 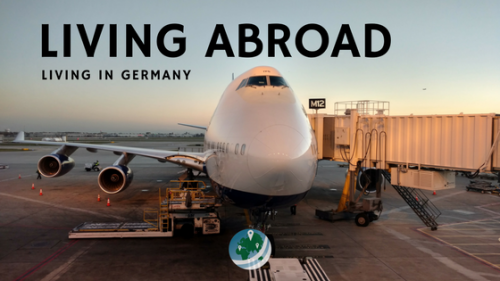 I had been to the festival the previous year, so you would think I’d know to not try and move my life to Germany during that short, avoidable window. Alas, my stupidity related to German beer festivals was not limited to this lapse in judgment. Even by the time I moved here, I still only really associated German beer drinking traditions with Oktoberfest and vice versa. I had somehow failed to realize that beer culture in Germany is so, so much more than Munich’s famous festival. 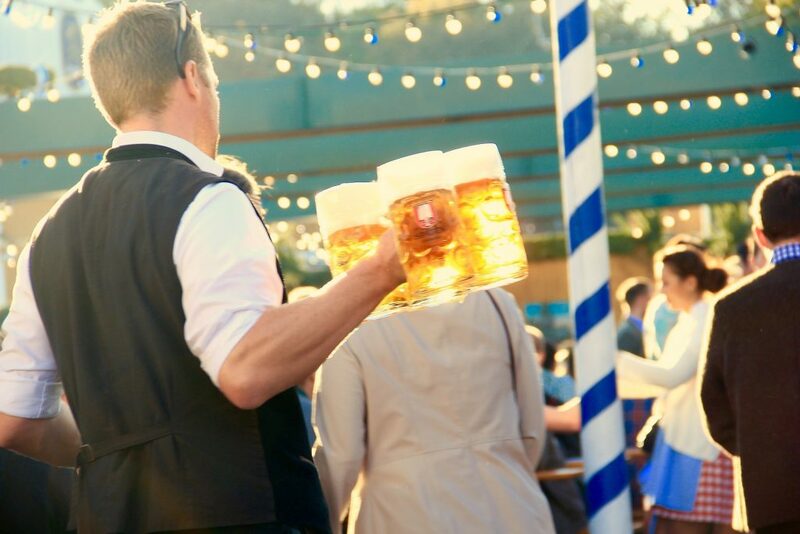 Beer festivals – that is, events at which traditional clothing is worn, beer is drunk in large quantities, and “traditional” music is played – exist all over Germany. However, the southern states of Bavaria and Baden-Würtemburg certainly hold the majority of traditional beer festivals in Germany. Oktoberfest (which is only during the very beginning of October) is probably the most well known. But after living here for over a year and a half, and doing a bit of searching around the web, I’ve found many more festivals. 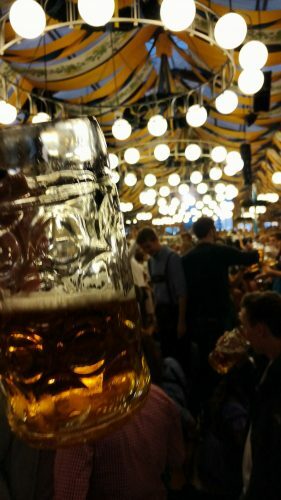 A snap from my first beer festival in Germany – Oktoberfest 2014. I was only there for the first day of the festival, but I managed to last from opening till closing time! There’s the Stuttgart Beer Festival, also called the Cannstatter Volksfest, which is held both in spring and in late summer. Berlin hosts the Berlin International Beer Festival, and even Cologne got in on the action in 2010 with its Festival of Beer Culture, a craft beer styled fest. Finally, there’s the firearms and marksmanship-themed Hannover Schützenfest, in addition to many, many local beer festivals around the country throughout the year. Most often, the biggest festivals are in summer, or near the end of summer. 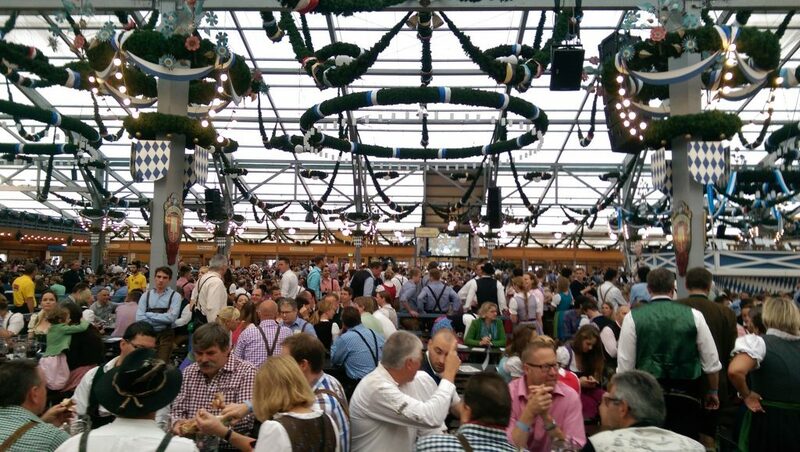 Beer festivals in Germany have a variety of cultural and historical beginnings. For example, Oktoberfest is technically celebrating the wedding of the royal family between Prince Ludwig I (not the famous one, his grandfather) and Princess Therese. Nowadays the festival is more of a Volksfest, a celebration of the local community, by the local community. Many beer festivals in Germany today are “Volksfests”, celebrating the town or city they’re from. They’re very similar to all the other various beer festivals in Germany, but there is a slight distinction. A map of all the beer festivals in Germany that I mention in this post. Just for those who’re curious about all these big cities and little towns I talk about. While many of these festivals celebrate something specific, like Schützenfest in Hannover, sometimes it’s really all about the beer. The festivals in Cologne and Berlin center around international and craft beer styles. However, many festivals, especially in southern Germany, celebrate local beer culture, too. There’s the Starkbierfest (literally Strong Beer Festival) in early spring here in Munich. This is one of my favorite things in Munich. It’s happening at a time when not much else is going on, and it’s the only time and place where you can drink Starkbier. Starkbier is a supercharged German beer that could probably put Andre the Giant down. It’s very unique and something you definitely have to try, but not too much! In order to be classified as Starkbier, the beer needs to be over 6.5% alcohol. Many of them are plenty more alcoholic. In Franken, a region in northern Bavaria, many summer beer festivals celebrate local brewing culture. The town of Kulmbach hosts the Kulmbacher Bierwoche (Kulmbach Beer Week), and the relatively famous city of Bamberg holds Sandkerwa every year. Technically Sandkerwa is a religious festival, but it’s actually become a Volksfest with plenty of the distinctive local specialty, smoked beers. It looks like Sandkerwa was canceled this year, unfortunately, but Bamberg is a worthwhile trip to make regardless. It stood through World War II mostly untouched, so it still has much of its medieval and baroque structure, buildings, and history intact. The city is a UNESCO World Heritage Site because of this unique architecture and its level of preservation. Speaking of Franken, there are so many festivals from this area. Some are focused on local beer culture and some are more like Volksfests, but they’re all somewhere in between. There’s the Straubing’s Gäubodenvolksfest, Bergkirchweih in Erlangen, Annafest in Forchheim, Michaeliskirchweih in Fürth, and the large Nuremberg Volksfest. There are probably several more that I’m missing, but you get the idea. These festivals are a regional phenomenon, each with their own history and their own particular feel. For more info on the particular beer festivals in Franken, this German website has tons of info: Braukultur-Franke: Fränkishe Feste. For more about beer festivals throughout Bavaria, in English, head here: Bavaria: Beer and Wine Festivals. Generally, though, all these festivals are places where people drink beer, often in traditional clothing. Lederhosen and Dirndl are as numerous as the liters of beer. Sometimes there’s other stuff going on, like carnival rides and parades, but really, they’re just big parties! Moving out of southern Germany, the city of Hamburg has Hamburger Dom. I was there in 2015, and it was essentially a summertime amusement park in the middle of the city. Also in the north, Bremen has Bremer Freimarkt, and Dusseldorf has the “biggest fun fair on the Rhine”. These are pretty different from the traditional beer festivals of the south. However, they share some aspects of Volksfests, such as the carnival rides and open-air markets. The Hannover Schützenfest I mentioned before actually has its roots in a marksmanship tournament. Lots of beer and guns mixed together, that probably only works in Germany. Onto the more delicious half of that odd mixture in Hannover – the beer! Beer festivals in Germany celebrate and serve many different kinds of beer. Some are simply a celebration of local traditions, while others are precisely for serving a specific and unique style of beer. I already mentioned the Starkbier during Starkbierzeit (the whole season) at Starkbierfest, that’s a great example of the latter. When it comes to Oktoberfest, it seems that many people associate a style called Märzen with the festival. If you’re not familar, Märzen is a darker and maltier style of beer that takes its name from the month it’s traditionally brewed in, März (March). I read an article over at Paste Magazine comparing these styles, and it seemed to indicate that Märzen is served at Oktoberfest. This is not the case. In decades and centuries of old, Märzen was definitely served, but nowadays something called “Oktoberfestbier” is served. As you might guess, the Munich breweries brew this beer specially for Oktoberfest. This beer is essentially a slightly beefed up and more flavorful version of Münchener Hell, Munich’s very own golden lager beer style. Moving northward – we have Rauchbier or “smoke beer” from Bamberg. This traditional style is unique to the city and it is certainly well-known for it. The most popular brand of Rauchbier comes from the Schlenkerla Brewery. 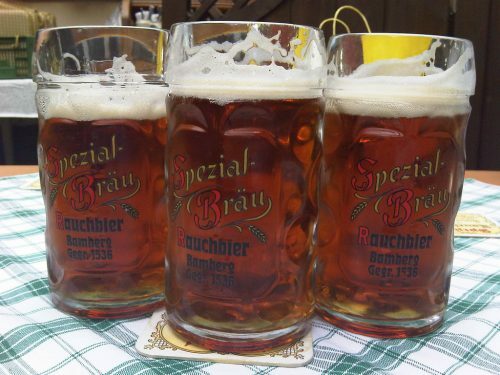 Their flagship brew is Aecht Schlenkerla Rauchbier (Original Schlenkerla Smoke Beer). This brew is available year-round, but you’ll definitely find it at Sandkerwa if it was happening this year. At the Gäubodevolksfest you can try (and by try I mean drink a liter of) many different local beers. From the looks of it, the festival is supplied by 4 local breweries: Röhlbräu, Irlbacher (couldn’t find their own website), Acrobräu, and the monastic Karmeliten Brauerei. I haven’t personally tried any of these fest beers, but I’d imagine they’re similar to Oktoberfestbier. This goes for any of the beers found at those festivals in Franken. They’re all going to be unique and local, but all within the same tradition of the area. Up in Hannover, you can get your mitts on Hannover Fest Beer at the Schützenfest. Over in Stuttgart, they serve several different kinds of fest beer, just like at Oktoberfest. 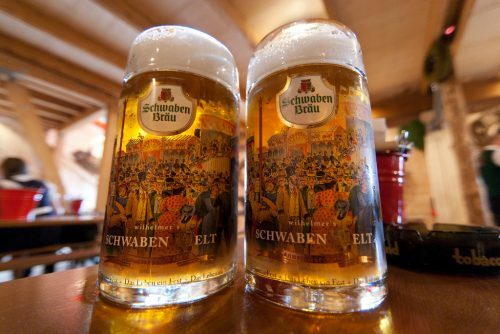 This includes big names like Schwaben Bräu and Stuttgarter Hofbräu (similar to how Bavaria has a more famous “Hofbräu”, the court’s brewery). 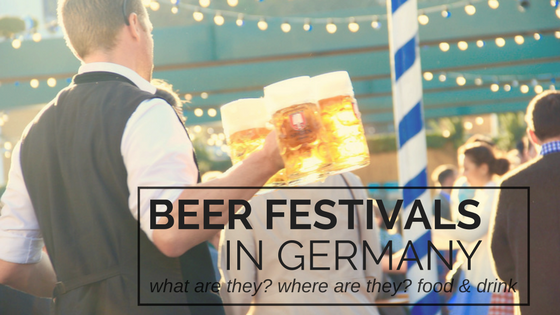 Finally, it’s time to talk about all the delicious, though not necessarily healthy, bites at these beer festivals in Germany. After all, with all that beer sloshing around your stomach, you need some big, hearty meals to stay upright. There are so many options, so I’ll shorten this into list form. I’ll focus mostly on the traditional foods of the southern festivals. They’re more iconic, and I have actually tasted quite a few of foods available at them. Brezen (pretzels): You know ’em. Southern Germany does soft (but with a delicious crusty outside) pretzels better than anyone else. They are a great little snack if you just need something to munch on. Wurstsalat (sausage salad): Leave it to the Germans to take the idea of a salad, and center it around meat. This is essentially a chicken salad, but with different ingredients. The Bavarian version is essentially bologna-type sausage strips mixed in with oil, spices, and some herbs and veggies. It’s actually pretty decent if you want sausage. Currywurst (Curry sausage): This Berlin classic dish is a weird one. A fried pork sausage (Bratwurst) in a bun or more commonly with a side of fries, served with curry ketchup and extra curry powder on top. That’s it. Weirdly, it really hits the spot sometimes. Even though it’s a Berlin treat, you’ll find them all over Germany, even at the bigger festivals in the south! There are also all kinds of other sausage dishes and “sandwiches” around, all of them just as tasty as the Currywurst. Brotzeitteller (bread time platter): This big plate of pretzels, breads, veggies, and spreads could easily be a meal for two. I put it in this section because it’s a lot like an appetizer platter to me. It’s delicious. As an added bonus, you get Obatzda as one of your spreads. Obatzda is a creamy cheese spread that’s made with fresh herbs, onion, and a little bit of beer. It is great on anything, but really, it pairs perfectly with pretzels. Brotzeit is a traditional meal from the South, so you won’t find it at all beer festivals in Germany. Käsespätzle (…spätzle! ): It’s just beautiful, delectable, creamy, cheesy goodness. The pasta is soft and creamy, covered in grated cheese (the type of cheese depends on the region), and mixed with sauteed onions and other goodies. It’s just simple, delicious, old world mac & cheese. Knödel (dumplings): These little balls of deliciousness come in all types. Potato, bread, liver, cheese, you name it. Typically, the most common variety is the potato kind. But in Munich and around Bavaria, you’ll find that bread or pretzel dumplings are also common. Potato Knödel (or Kartoffelknödel) are buttery boiled potatoes essentially. The Munich Semmelknödel, bread dumplings, are something I can’t describe. Their flavor and texture are somewhere between a meatball and the potato dumpling. They’re my favorite, nonetheless! Sauerkraut and Pickled Red Cabbage: I’m not sure much explanation is needed here. If you like Sauerkraut in the US, you’ll love it here, and if you don’t like it hor haven’t tried it, try it! It’s very refreshing and a great complement to many dishes, especially the bratwurst. Brathendl (roast chicken): The best damn roast chicken you will ever eat. A great and filling meal if you’ve been putting away liters of beer all afternoon. The skin is unbelievably flavorful, light, and crispy, and underneath is the most succulent and lip-smackingly delicious poultry you’ll ever eat. If you’ve read A Song of Ice and Fire, you know that George R.R. Martin spends an obscene amount of text describing the food and feasts of Westeros. I swear he visits beer festivals in Germany for inspiration. This chicken always reminds me of the way he almost erotically describes roast chicken in the books. Steckerlfisch (stick fish): No, these aren’t fish sticks, but literal fish on sticks. Take a simple freshwater fish, like whitefish or trout. Gut it, marinate it, and then stab a big stick through it, end to end. Finally, roast it with the embers of charcoal or a wood fire. Serve on the stick. I’ve never eaten it, but now that I’ve described it, I suddenly want to head over to the nearest Biergarten and grab one. Schweinebraten (pork roast): This is exactly what you think it is. Slices of juicy roast pork served in a delicious gravy and usually with some form of potato and/or sauerkraut. A classic, and a great choice, no matter where you are. Schweinehaxen (roast pork knuckle): I’ve saved the best for last. A juicy shank of pork roasted to delicious perfection. Crackling, incredibly crispy and flavorful skin covers meat that just falls off the bone. This dish is all about the pork. On the side, there’s usually a couple potato knödel or some form of potato-y side dish. Of course, they all pair perfectly with that gravy. If beer festivals in Germany had an iconic dish, it’d be this. Kaiserschmarrn (Emperor’s “scramble”): This is a classic Bavarian and Austrian dessert. It’s essentially a very fluffy shredded pancake served with a sweet sauce. I’ve seen lots of types of sauces paired with the Kaiserschmarnn: vanilla, apple, blackberry, plum, and cherry to name a few. If you do have a sweet tooth after all that savory goodness, beware. It’s quite a lot to put down after a big meal like any of the dinners above, so you’ll probably want to share. Lebkuchen (the heart cookies): Finally, the last little bit about food at beer festivals in Germany. This one may be particular to Oktoberfest, but I believe I’ve seen it at other festivals around the country. It’s actually sort of an icon of the festival. The heart cookies are actually more of a souvenir than a food you actually eat. Originally, these cookies began as soft, tender Lebkuchen. Now, they’re a shrink-wrapped, heart-shaped blocks of rock-hard, almost inedible “cookie”. It’s actually become a bit of an urban legend. A significant other only really loves you if they come back from Oktoberfest, drunk as hell, but with the cookie still intact and uneaten. Now, the way I described it, the cookie probably sounded pretty disgusting. However, I don’t think many people can pass up any sort of food when they’re plastered and stumbling home in Lederhosen. Especially when that food is hanging around your neck, ready to be unwrapped and (unsatisfyingly) eaten. So that’s it! That’s most of what I know and researched about beer festivals in Germany. 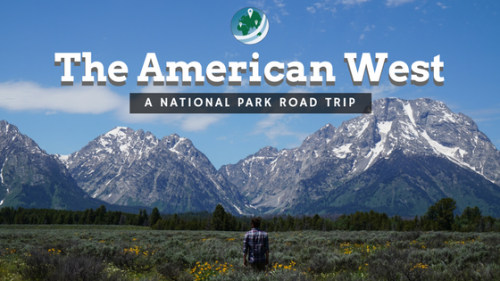 There is A LOT to take in, and I probably haven’t even scratched the surface of the history and traditions of these crazy and iconic events. Beer festivals in Germany are a ton of fun. To tourists, they’re a slice of history and culture of Germany. But to the locals, they’re a beloved tradition, though we do love to grumble at the over-population of tourists. Plus, they’re a nice excuse to meet friends and family out for an evening of beer and bratwurst. A final note, just to bring this full circle. If you’ve never seen Beerfest – go watch it immediately. In my opinion, that film is on par with other comedies like … Supertroopers. In fact, it was made by the same people! You’ll see lots of familiar faces, for sure. 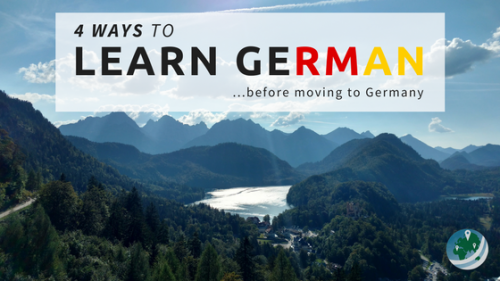 I have always wanted to visit Germany! These festivals sound amazing. I can almost taste those delicious pretzels now! 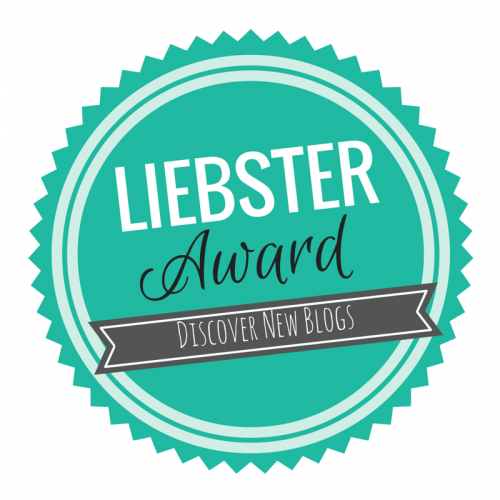 Well-written, thorough post! Oh yea. You can’t beat a German one. It’s just so ingrained in the culture here. It’s no accident that the foods served at these beer festivals are exactly what you’d want after a few beers! I’ll be honest I’ve never been to a beer festival but I reckon I definitely would go to these German one as it looks like so much fun. The atmposhere, the people, just everything looks amazing and one in a life time experience. This is an awesome detailed post!! I’m sharing this with my husband so he share it with his mates!! Fake News. Germany doesn’t have any beer. They only drink carbonated water. Truth! I used to hate the stuff too, which was sorta a problem as the carbonated stuff is definitely more available than still water. I got used to it and like it a lot more though now, even if it does make me have to burp like no other.